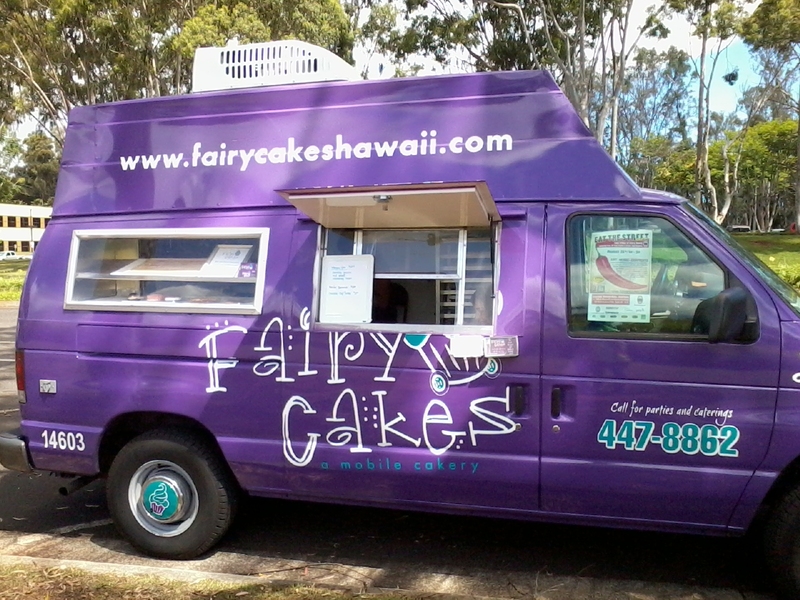 I was intrigued by this Fairycake wagon that I found on Facebook. So when I read that they were going to be on the road on Monday, I had to go and check it out. The wagon is easy to spot, they go different places everyday and you have to check their facebook post to see where. I started off wanting to try some cakepops, not too expensive and just enough to have a taste I think it went for 2.00. 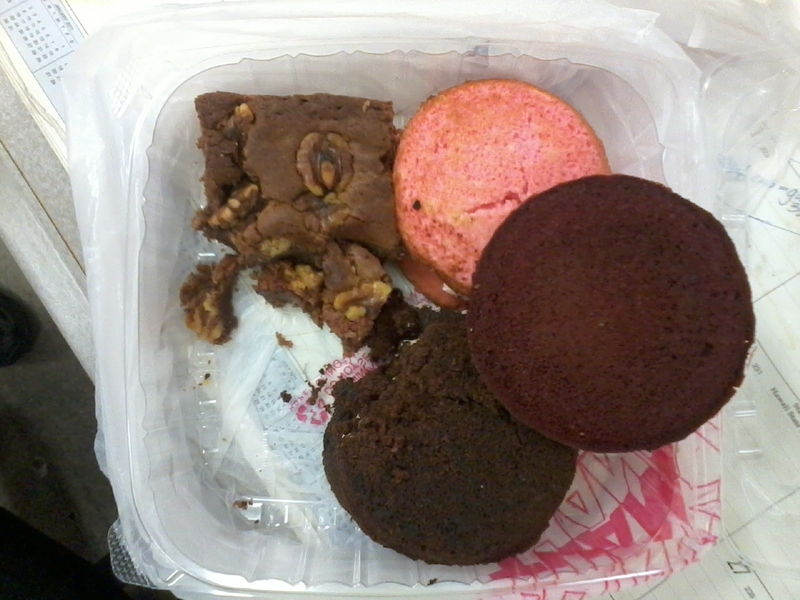 But alas, no cakepops that day, only Whoopie Pies, and killer monster brownies. The brownies were like chewy blonde brownies. The whoopie pies were 2 pieces of cake with filling in the middle. They were good, not wonderfully good, but the brownies were a dream. I ate half the brownie and saved the rest to take home for the gang. I still want to get some cakepops. Will have to wait till I find them again. Thought I’d make a fast project, that’s so I thought. 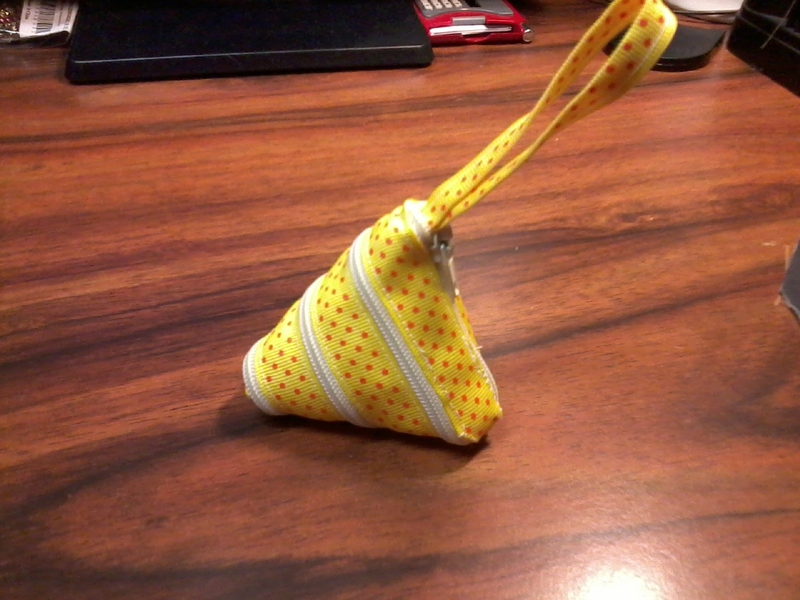 Took about 3 hours to make, first understanding the instructions (http://www.craftpassion.com/2011/07/zip-itself-coin-purse-tutorial.html ), and then the hand sewing part. I saw this on Craft Passion, http://www.craftpassion.com/, and was so intrigued that I had to try it. 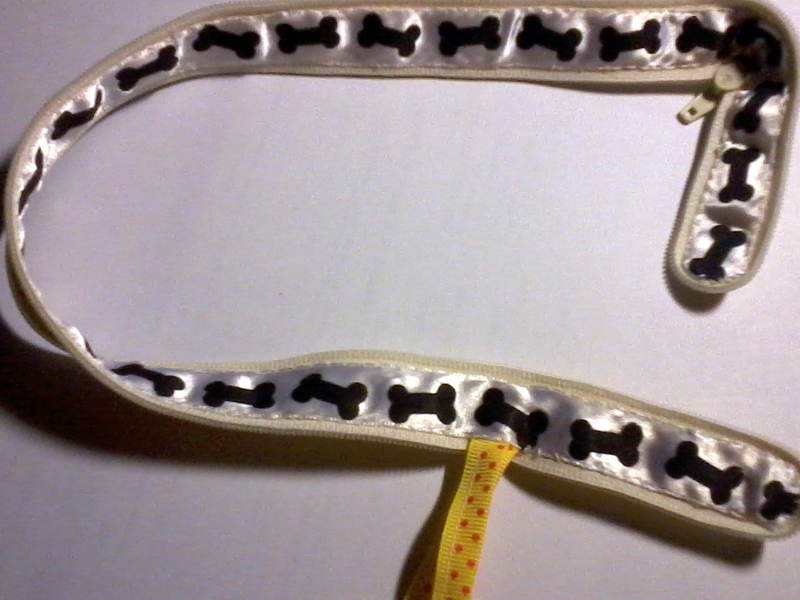 Simple ingredients, 20″ each of 2 different ribbons and zipper. The corners were a bit hard to maneuver but it’s kinda cute. This is what it looks like open. So, the family reunion that a bunch of my cousins were planning is over. Just like a wedding, so much hype going into it, getting everything ready like the menu, favors, slide show, emcee (yay, Steph Lum! ), and even a caravan to visit sights, and door prizes. All done now. It was amazing! 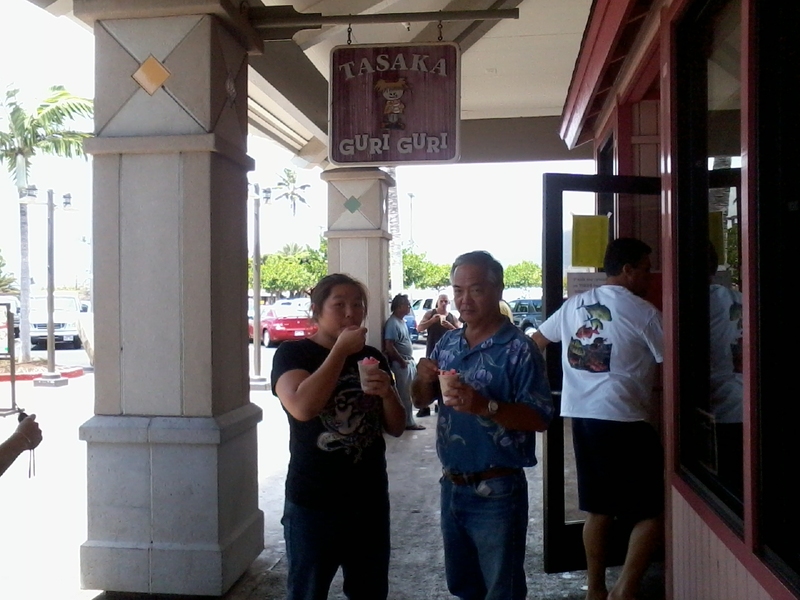 First thing we did and we always do when going to Maui is get some sherbert from GuriGuri. So ono! We went there a total of 3 times! Ahhh, better then shave ice, watch out for the brain freeze! Part of the caravan stops was the Tedeshi Vineyards. They have a vine tasting room, yummy, for free( adults only), and a beautiful walking path. On the way to the restroom is this arbor with Jade Vines and flowers drooping down. The color is so intense, I had to inspect it for a reality check! Yep, real alright. Such a beautifl place, upcountry is so peaceful! 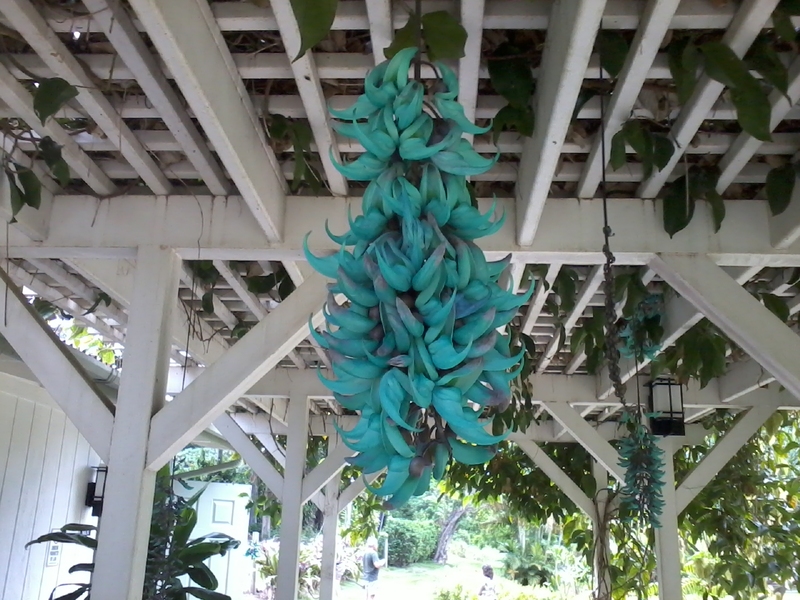 Another place we visited was the Alii Lavender Farms. At first I didn’t think it would be a great place to go, see some plants, visit the gift shop, is that all? We went there, and the tours are optional, visiting the gift shop was so rejuvinating. 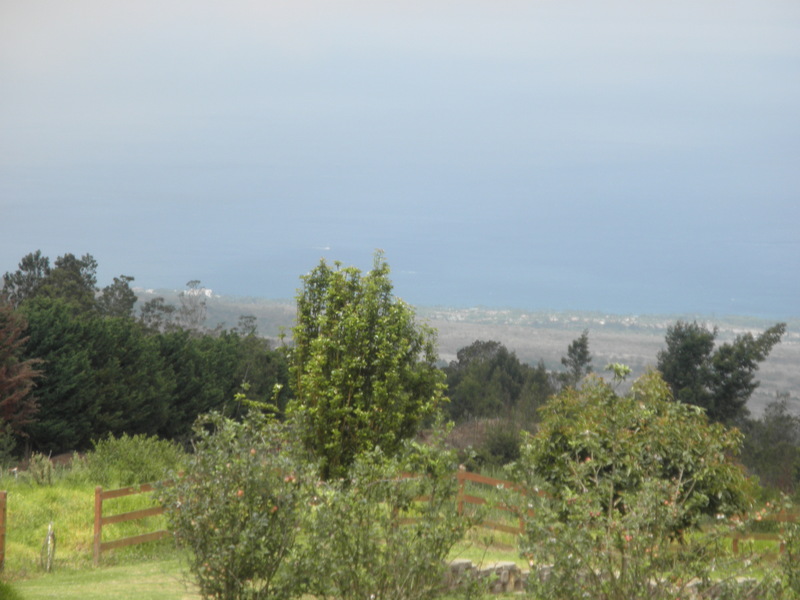 We sat there on the patio, and watched the Kula mist come in and out, drank some lavender tea, ate some scones, and just sat and relaxed. They didn’t pressure you to buy anything, just to enjoy the place. I loved it! Even the men loved the smell (I think it relaxed them!). There was even a fun part, they have daily treasure hunts, Kawika and Dawn did it and came back laughing and sweating, turned in their forms and got free lavender cookies. This is a must see and experience when going to Maui! The next day we took the kids to go on an ATV ride. While waiting for them to come back (2 1/2 hours) We went to the shopping malls (although it didn’t open till 9:30 and since we had to drop them off at 8am) and it was closed. We talked to a local there for good places for breakfast and he recommended a place close to the ocean, a couple of blocks away, behind the shopping center. The place was Aloha Mix Plate, by the name, we though we were looking for a take out place, we found and nice open air cafe/bar with warm employees and a yummy kalua pig hash patty. 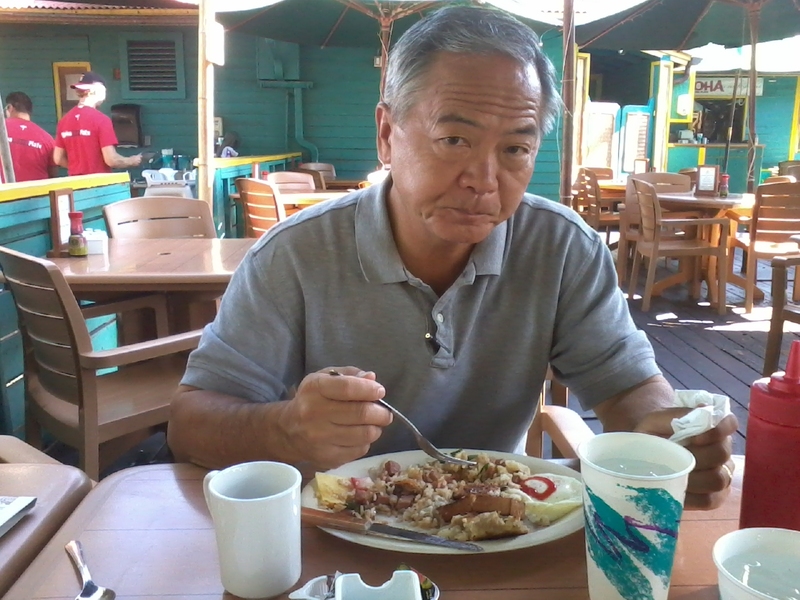 That’s the photo of hubby eating breakfast. We ate breakfast, listened to the waves, read paper and just had a peaceful breakfast. Next couple of photos is just upcountry Kula, when we visited the property that our Grandma used to live at. It brought back so many good memories and my cousins lamented on not having enough money to buy the property when my uncle sold it. We didn’t have jobs anyway, but still lamented on it. 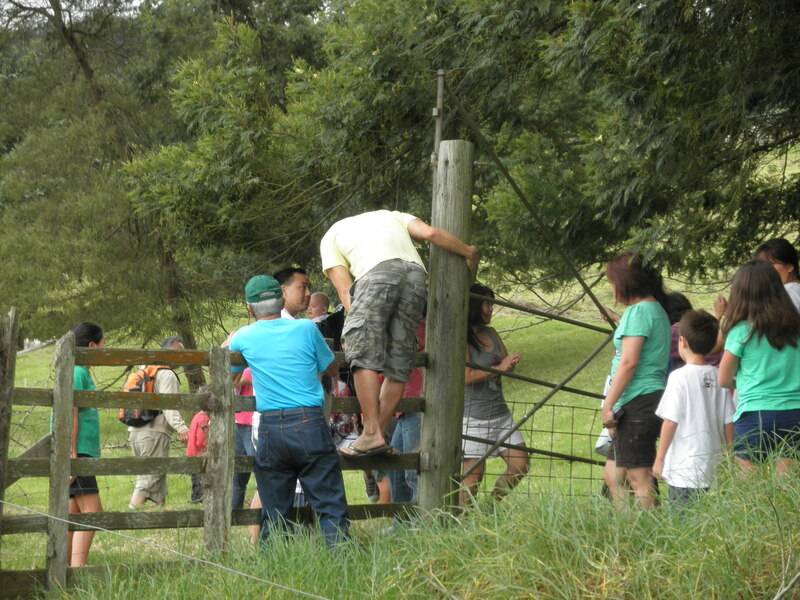 A group climbed the fence to the pasture and visited the old ruins of our Grandparents first house. It’s such a quiet spot and felt the chill when the fog with roll in now and then. 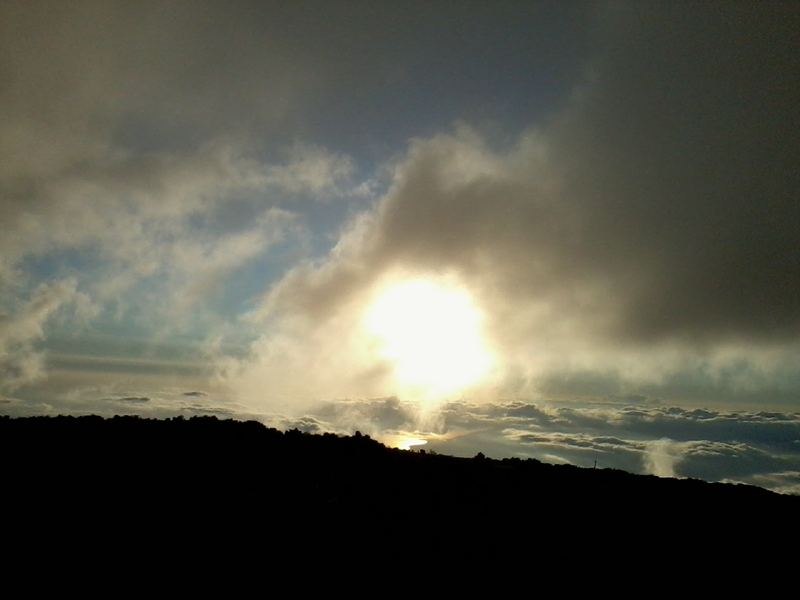 The last photo is when we went to Haleakala to watch the sunset. 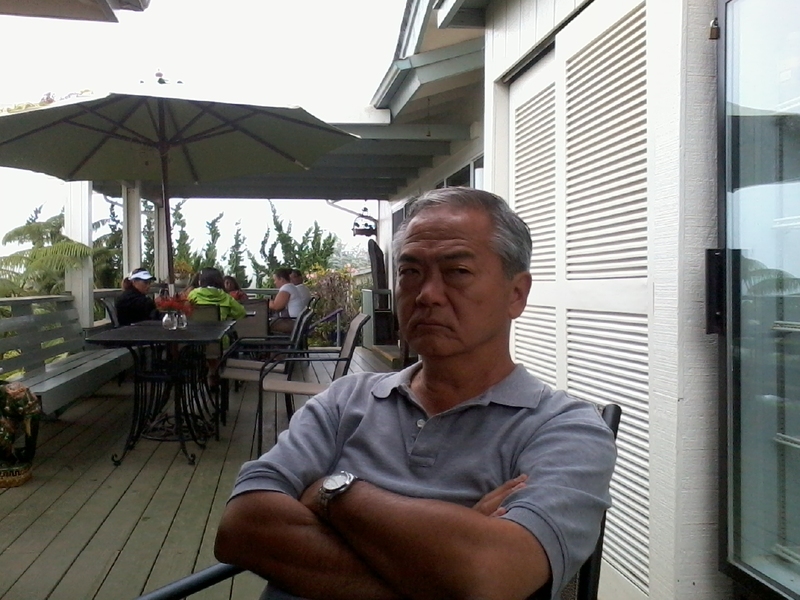 I was all indifferent in going to Haleakala, been there, seen that. So I was kinda livid when they said they were going to wait 3 hours to watch the sunset. We napped in the car, talked to a guy that was not here for the sunset but waiting for a buddy that was hiking out, that was 1 1/2 hours late and was worried by now. After we talked to him, not 1/2 hour passed and his friend walked out, all smiling and not having a care. The guy waiting was all mad and we calmed him down. Then they waited another hour for the sunset. Funny story. But, by the time the sunset start, about 6:30pm, the sky was beautiful. All the colors of the rainbow was there, and I even saw the famous green flash, that happens when the yellow of the sun meets the blue of the sea. That was a greater experience then the sunrise. That was a blessing! And now, back to reality and work. Oh well, make some more money for the next trip!